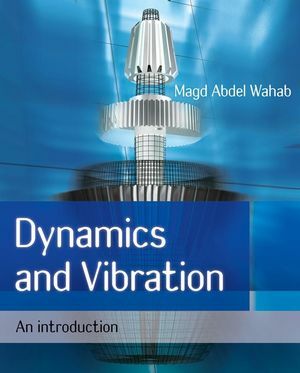 This book presents a new teaching methodology in Dynamics using E-learning, simulations and animation of mechanisms and mechanical vibrating systems. It covers Dynamics and Vibration modules that are taught at different undergraduate levels to the engineering students at Universities in the UK and worldwide. In addition to the theory sections and the tutorial sheets provided after each chapter, software called DAMA, ‘Dynamic Analysis for Mechanical Application’, in which simulations of mechanisms and vibrating systems are implemented, is provided via a website. The DAMA software is packaged with everything it needs to work immediately. The simulations it contains are used to enhance students understanding of the motion and vibration of mechanical systems. The simulations include motion of a single cylinder engine, four-bar linkage mechanisms, gears and sliding/rotating rigid bars along with many others. The simulations are fully interactive so that any change in the input parameters is immediately reflected in the animation, output plots and output parameters. Magd Abdel Wahab is Professor of Applied Mechanics in the Department of Mechanical Construction and Production at Ghent University in Belgium. An experienced teacher, he has also published over 150 technical research publications. 2. Kinematics of Rigid Bodies. 4. Kinetics of Rigid Bodies. 6. Free Vibration of Systems with a Single Degree of Freedom. 7. Forced Vibration of Systems with a Single Degree of Freedom. 8. Vibration of Systems with Two Degrees of Freedom. 9. Vibration of Continuous Systems. Appendix A. DAMA and Guidelines for Simulations. Appendix B. Properties of Area. Appendix C. Equivalent Stiffness for Combinations of Springs. Appendix D. Summary of Formulas. Uses LabView, which is a popular programme in today’s industry. Concise, simple, easy to understand at undergraduate level. Structured in an easy way for lecturers to adopt the course; e.g. Theory, followed by examples, followed by tutorials, a separate chapter for additional questions, answers to tutorials questions for tutors and a separate chapter for simulations.